Of course, after the Oscars I have to write a review of this movie. It is a very good example of the British cinema to show the moments of their history and their political figures. 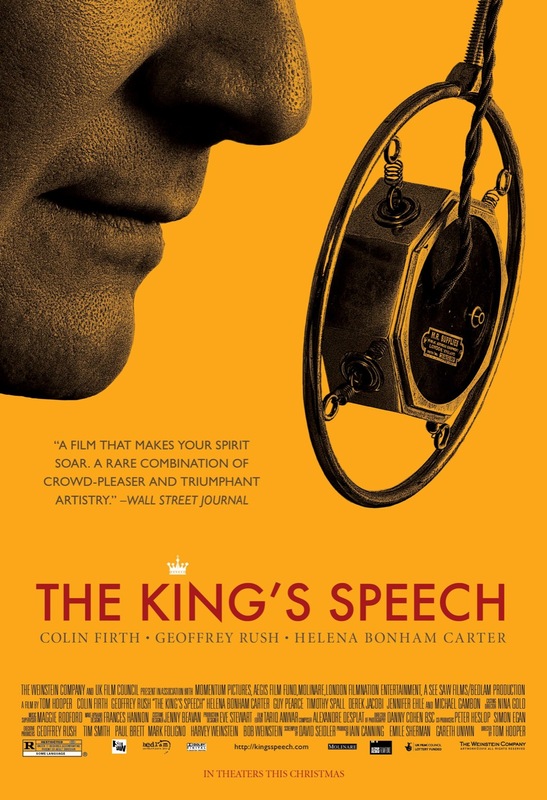 Colin Firth makes a very credible work as George VI and you can feel his fear and pressure during several moments of the film. The dramatic moments are very well mixed and linked with some details of comedy, very well supported by Geoffrey Rush who works as well as usual in these cases. Helena Bonham Carter makes a good connection between the two main characters. The atmosphere and the environment of the royal family and the critical moments of this period of the history are very well reflected. You can feel that the director Tom Hooper knows very well what he is doing during the full film.